An anti-corruption group says three Arab states are among a dozen worldwide where corruption has seen a significant increase in the past year. 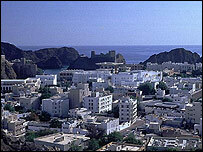 The Arab nations named by Transparency International were Jordan and the Gulf states of Bahrain and Oman. The Arab countries with the least perceived corruption were Qatar and the United Arab Emirates. Places with a history of civil conflict - such as Burma, Iraq and Somalia - were rated the worst for corruption. The survey ranked 180 countries on a scale of one to 10 based on the perceptions of business people and analysts. The best were Denmark, Finland and New Zealand. Bahrain was 46th with a score of five out of 10, while Jordan and Oman both scored 4.7 to be equal 53rd. Last year's rankings gave Bahrain a score of 5.7 (36th position), Oman 5.4 (39th position) and Jordan 5.3 (40th position). Scores below five indicate "serious" perceived levels of corruption, the agency said, while scores below three reflect "rampant" corruption. Separately, the World Bank's annual Doing Business report put Egypt at the top of the list of reformers who had cut red tape and improved trading conditions. Cairo greatly improved its position with reforms in five of the 10 areas studied by the report, the bank said. It had slashed minimum capital requirements from E£50,000 ($8,950) to E£1,000 and halved the time and cost of start-ups. It also cut property registration fees, and set up one-stop shops for traders at the ports, and cut import and export times.